There are many places around the world you can visit to spend your holiday vacation. If you choose Hawaii as your destination, it’s best you check out the Road to Hana Tour to experience the beauty of Maui Hana Coastline, or you can visit some travel websites to find more. 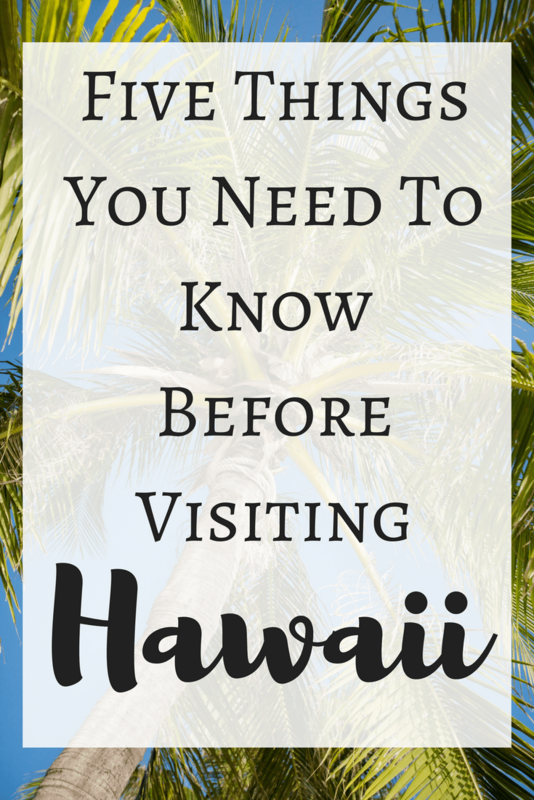 On the other hand, there are also other things you should know before visiting Hawaii. Perhaps, you already have a preconceived notion about this place. It’s important to make sure whether or not all that you know about the place, and its people is true in order to avoid stereotyping Today, we will be going over five things you should know before going on a trip there. Let’s get started! Kapu means a sacred site, and in Hawaii, you will notice this word, especially on signboards in many public places. This means you should give respect here, and avoid things like littering. This is because it’s difficult to identify such sacred places based on the popular notion of what a sacred site really looks like. In Hawaii, most sacred places may not be so special in the eyes of many people. Some of these sacred sites may be simple grasslands with piles of rocks, and you may think they are mere construction sites, but they are sacred to the people of Hawaii. So watch out for the signboard with the word kapu. Many people know that Hawaii is a warm tropical place filled with stunning beaches and resorts. Little do people know that it is also possible to do snowboarding and skiing in Hawaii. You may be wondering how is this possible? If you go to Hawaii, which the locals call the Big Island, the first thing you will learn is that the island is filled with volcanoes and mountains. Nevertheless, some of these mountains like Mauna Kea sometimes get snow. Whenever it’s snowing in Mauna Kea, people do go there for skiing. When you hear the word Hawaii, the first thing you will probably think is the hula dance performed by women. Actually, the real hula dance is performed by men. The hula used to be a dance only performed by men to show strength and to honor the gods, especially to prepare for tribal wars. Nowadays, it’s usually performed by women to promote such native Hawaiian culture. In Hawaii, you will notice that people are enjoying every bit of this place. If you notice some cars honking loudly and rushing like they are in a hurry, these are typically cars rented by those who have just arrived in Hawaii. If you are in Hawaii, you don’t need to rush. Keep in mind that there is no need to rush from A to B. Road rage that might be common where you’re from is frowned upon here. In South Korea, almost all people are Koreans. In Hawaii, only 10% of the people are Hawaiians. These are native people who are not really seen everywhere. Most of the people in Hawaii you can see are composed of people of Asian descent such as Japanese, Koreans, Chinese, and Filipinos. These people prefer to be called the locals instead of Hawaiians. Being familiar with Hawaii doesn’t stop with knowing all the popular places and things to do there. The above details and facts about Hawaii will surely help you appreciate the journey, so you can really enjoy your vacation. Carl is a super-connector with and OutreachMama, who helps businesses find their audience online through outreach, partnerships, and networking. He frequently writes about the latest advancements in digital marketing, and focuses his efforts on developing customized blogger outreach plans depending upon the industry and competition.